Segment believes the most inspiring and successful companies put their customers first. By working together with our partners, we can help even more companies solve their toughest data challenges as they evolve into customer-first businesses. Segment has grown exponentially over the last few years, and during this growth phase, we’ve seen an increase in inquiries from our customers for more options to help integrate customer data into their organizations. As a result, we are excited to announce an evolution to our partner program: Segment Select. 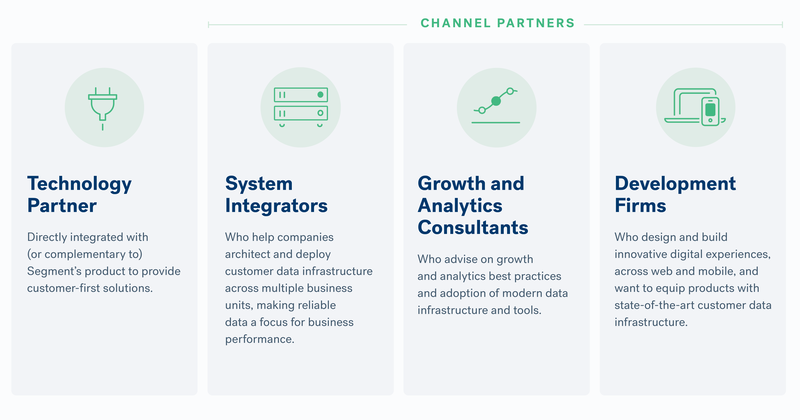 Segment Select gives customers access to our growing ecosystem of certified Technology and Channel Partners that advise, architect, and implement Customer Data Infrastructure (CDI) — empowering any customer to innovate with Segment. 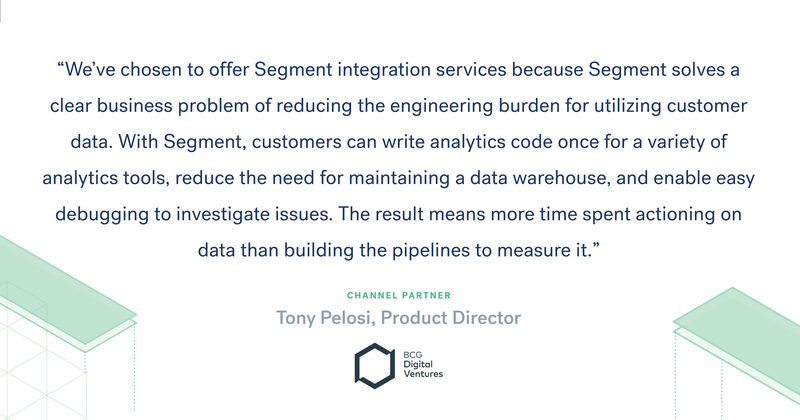 We have always had a strong partner community, and now with Segment Select, our customers can more easily identify and work with a trusted group of products and agencies. In order to ensure a great experience for mutual customers, Segment Select requires all top-tier Channel and Technology partners to complete a technical certification and sales training program. Only partners that demonstrate a strong understanding of the Segment platform and implementation best practices are designated as top-tier. This gives customers peace of mind when choosing who to work with to support their unique needs. Segment Select gives all of our partners the opportunity to work with Segment to grow their businesses while providing exceptional service to our joint customers. Dedicated partner team: Partner relationship manager that provides access to technical pre-sales support as well as on-site, in-person training. Sales support and enablement: Partner-specific go-to-market opportunities to identify and promote their unique partner story alongside Segment. Activities include co-selling, custom marketing collateral, listing on Segment’s website, and a fully-featured Segment test account. Segment certification program: Sales and technical certification program that provides learning modules to gain expertise in customer data infrastructure. The technical track covers content including Segment’s data model, tracking plan build process, and implementation. The sales track teaches the Segment value proposition and provides key customer use cases. In order to become a Segment Select certified partner, you can apply online. Once we review your application, we’ll provide access to the certification program. Interested in joining the Segment Select program? Apply to become a Segment Select Partner today. Are you a Segment customer interested in access to additional implementation services? Contact us today, and we can match you with a partner.